Getting from the airport to the city could not have simpler. After customs and baggage collection, I picked up the tourist transit pass I'd pre-ordered online. The Airport Express train leaves every 12 minutes and the luggage trolleys can be wheeled right up to the train doors. 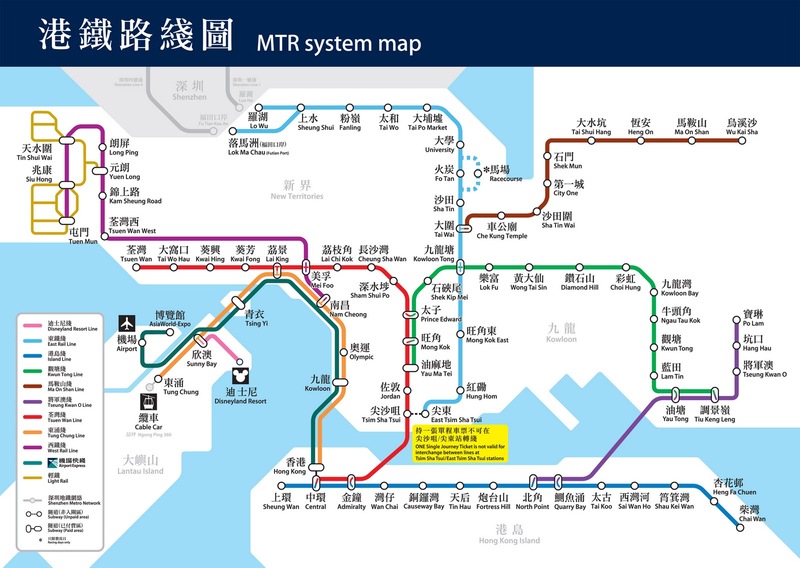 Inside the cabin, there's a calming, futuristic hum as the train speeds into central Hong Kong, just a 24 minute trip. At the station, more luggage carts are waiting by the train doors and streams of taxis drive right into the station, metres from the train. All this is a great relief for someone like me who does not travel light. Yes, Bangkok has a new airport train service but you have to change lines and then carry your luggage down stairs to street level to hail a taxi. 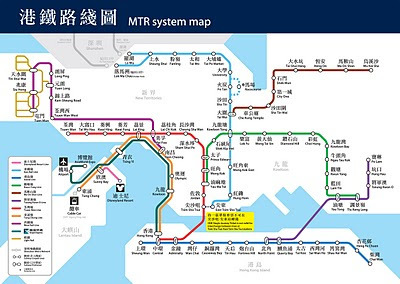 Hong Kong made it all so easy! I was arriving downtown at around 4pm, so there was a huge snarl of traffic through Central. I wasn't stressed because taxi fares are relatively low compared to other large cities. Slouching back in the vinyl seat, I listened to the Cantonese chatter on the taxi radio and stared out at the buses and boutiques. One panicky moment occurred when we arrived at my hotel on Wellington, a very busy single lane street. A big back-up of cars started honking at me as I scrambled to retrieve my many pieces of luggage from the trunk and to pay the driver. I despise being honked at! 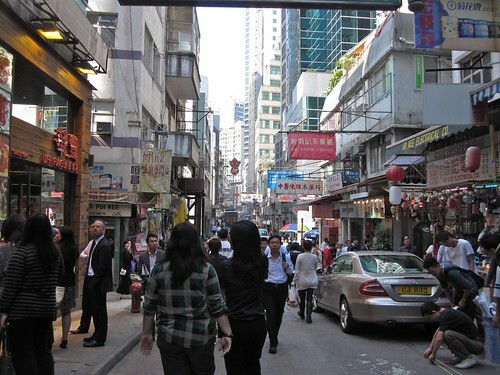 A web search for "Hong Kong boutique hotel" had resulted in me booking a room at Butterfly on Wellington. This hotel only opened in October so they were offering reduced rates, plus I was upgraded to an executive suite when I checked in. The suite was comfortable but not at all spacious: I wonder what the standard rooms are like? I would recommend Butterfly as a great base for a few days in Hong Kong, anyway. The location is ideal, right in Central amongst the shops and restaurants, just steps from the Midlevels Escalator and next to the Graham Street Market. I was on the 21st floor so no noise or odor from the street market below bothered me in my room. My schedule for the first evening: relax for an hour or so, then travel a few stations east on the subway to meet Mardelaina for dinner. Mardelaina is a friend-of-a-friend who I had met when she visited Bhutan in the fall. 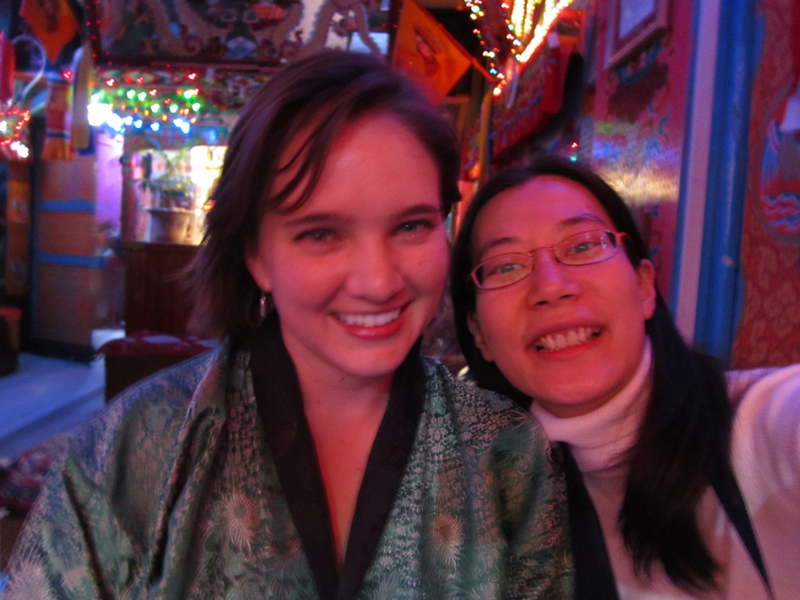 I didn't take any photos together in Hong Kong but for good measure, here's a pic of us at Tashi Tagay Drayang in Thimphu. We met at Tin Hau station then went for noodles and fried fish skin at what Mardelaina assured me is Chow Yun Fat's fave noodle bar. 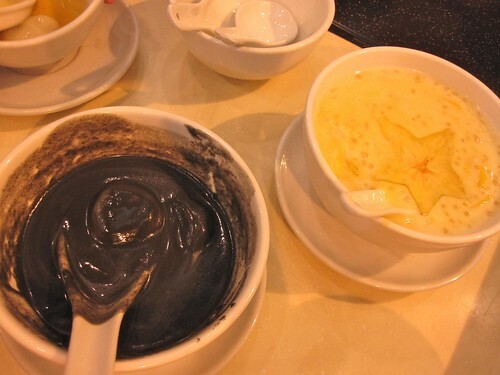 Next was Hong Kong style desserts: black sesame porridge with black sesame mochi and also mango/starfruit tapioca. You may recall that I am very into black sesame. Mardelaina had to get to a meeting about her upcoming photo exhibition so we parted and I took my first ride on a double-decker tram! So awesome. I went down to Causeway Bay and joined the shopping crowds, looking around the Sogo department store and just a few of the thousands of other shops in the area. It was just too much commercial stimulation for a girl emerging from months in the Himalayas. I happily called it a day and retired to the Butterfly.